Who doesn't love blowing bubbles? Put these cute Clear Heart Bubbles at your table or in party favours for your hen party or wedding guests. This pack contains 12 tubes of non-toxic bubbles for hours of fun. They are packaged in elegant clear tubes with heart shaped wands. Why not also serve sweeties at the table in these Pink Treat Cups? Warn any guys in the area that there are girls out misbehaving tonight with these Pink Girls Misbehaving Warning Cones! They are perfect for your wild hen night out. These plastic cones come in a pack of two and are bright pink with a label that reads 'Beware! Girls Misbehaving". Why not bring along these Girls On Tour Flags to really get the message across? 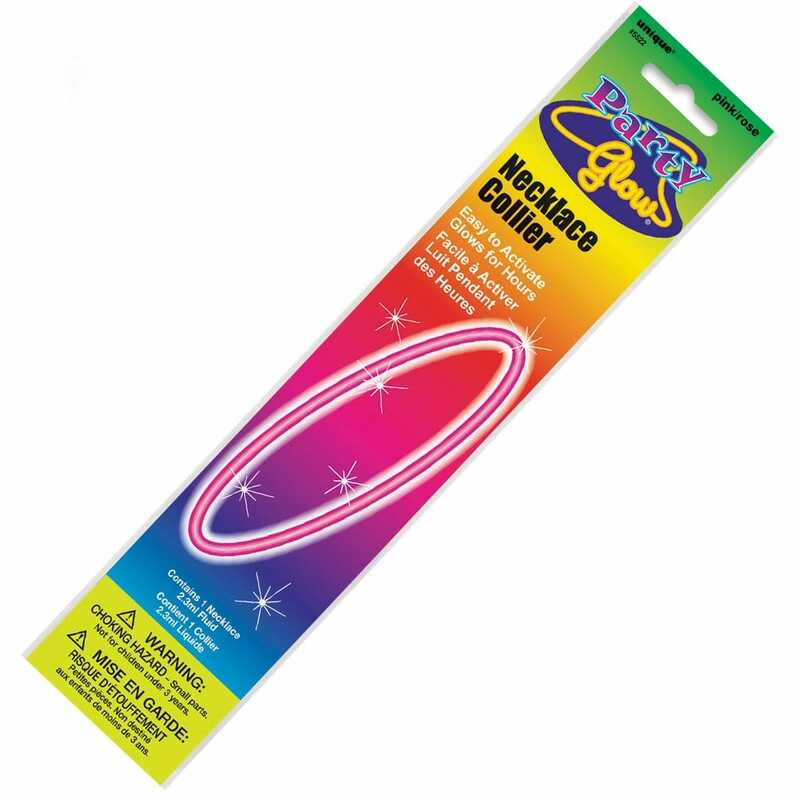 Outshine everybody else all night with these funky party glow necklaces that are easy to activate and glow for up-to 6 hours. Each pack has two glow sticks and two connectors, ready to snap bend and fix together with the connectors.